Yes I know I'm a little late in the game, but I just recently got my hands on some of the Smashbox Summer 2015 collection, and I really like what they came out with. Above are the matte lipsticks. 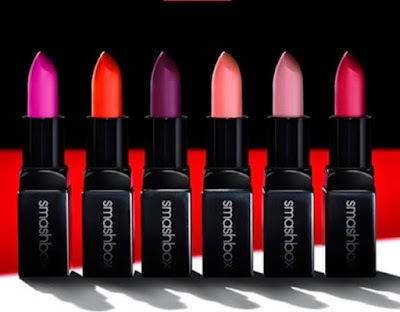 Smashbox opted for an original lipstick design with a basic packaging, the colors consist of Shock Me Pink, Fireball, Femme Fatale, Paris Pink, Mauve, Punch Drunk and they also have two others not shown in the picture which are Magenta and Mulberry. If you follow me on Instagram you'll know I've been wearing the new Smashbox "Bronze Lights" ($34) everyday, since the day I received it. 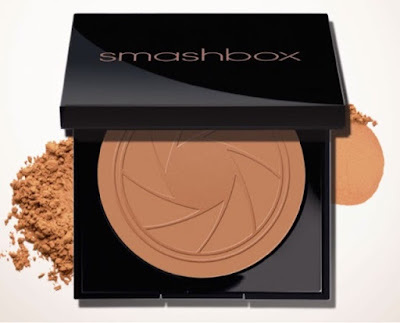 I THOUGHT I had found my favorite bronzer of all time, and I had sworn off all others until this beauty. For $34, this gives you the perfect Summer glow. If you're not tan yet, don't worry- I have been brushing this not only on my face, but my arms, shoulders and chest. 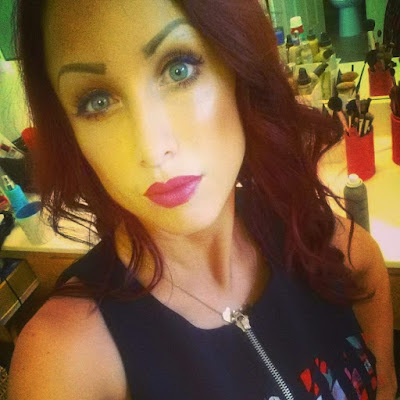 I don't look orange or fake, I just look like I spent a day or two in the sun. 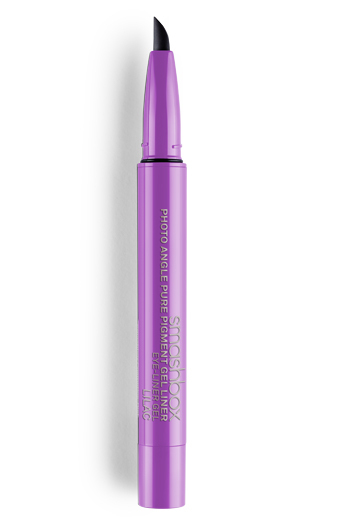 This is my favorite product from Smashbox for probably the entire year. If you purchase nothing else out of the collection, purchase this. I have the color, "Deep Matte"
Smashbox also came out with some blendable cheek and lip colors for Summer. Although I've never been a fan of cheek/lip combos, this appears to be a bit different. Not really recommened for oily skin, this gives you a gorgeous matching summer glow that will make your cheeks and lips pop. It will be interesting to read the feedback on these, and then I will decide if this is something I need to purchase. And last but not least, the Photo Angle Pure Pigment Gel Liners ($24) deeply resemble (in my opinion) The new Benefit Liners that just came out this past month. You push the bottom of the marker and out comes the color. Easy to use for beginners, I only posted the one color (Plum) which is the color I have, but it also comes in Jet Black, Brown, and a Grey. I have a love hate relationship with marker liners, I've always been a fan of just a small narrow tip or a brush liner, but this one really goes on well, and stays all day. It also works well with water, I wore this specific shade while swimming and when I got out of the pool, the liner was still on and not blotched at all. I did a quick swatch on my eye and hand to show you what this looks like. And this is the end result. 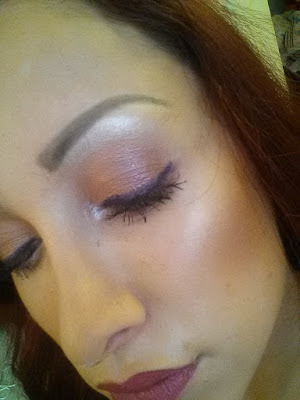 I'm wearing The Bronze Lights by Smashbox. It really makes your skin glow and I'm completely obsessed. YES Smashbox! Love it all! 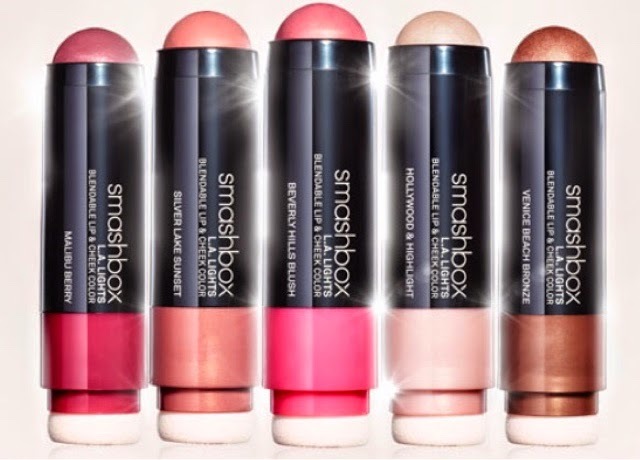 Everything listed here is now available on Smashbox's website.